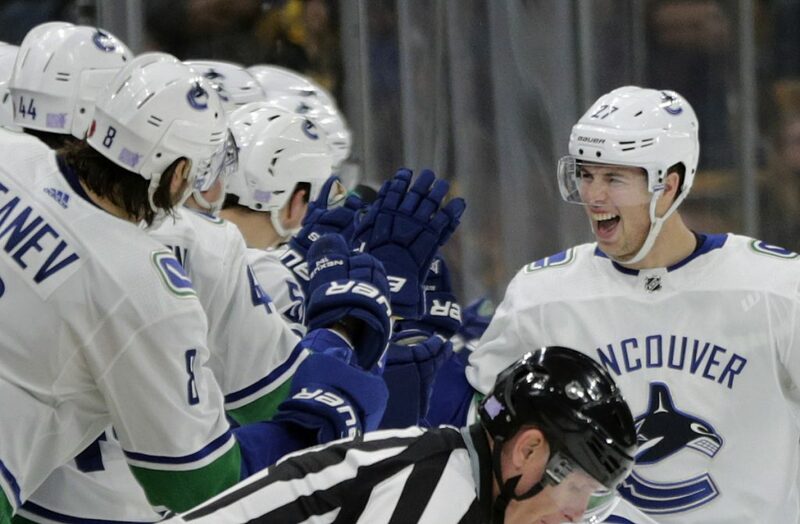 Bo Horvat had two goals and two assists as Vancouver chases Boston goalie Jaroslav Halak in the second period. Jake DeBrusk scored twice, Patrice Bergeron, Matt Grzelcyk and Danton Heinen added goals, and David Krejci finished with three assists for Bruins. Boston lost for the second time at home this season and has dropped 3 of 5 overall.